"Violinist Catherine Leonard and pianist Hugh Tinney are magnificent here. It's immediately clear from the crisp interplay at the start of the Sonata Op. 24 ("Spring") that the pair have an effortless understanding. The Kreutzer Sonata makes for more demanding listening and is played with conviction. 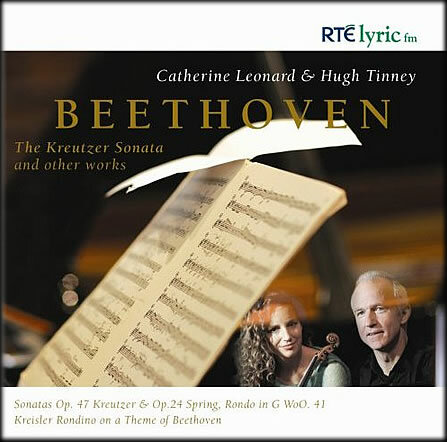 * * * * "
"It's good that someone in Ireland - the RTÉ lyric fm label - is at last getting around to making recordings of Irish musicians in mainstream works...The duo set a breezy tempo for the Spring Sonata, but then engage in playing that's often a bit more earnest than you might expect. They sound more at home in the heavier-duty terrain of the Kreutzer, and adapt beautifully in the final pairing of short pieces." 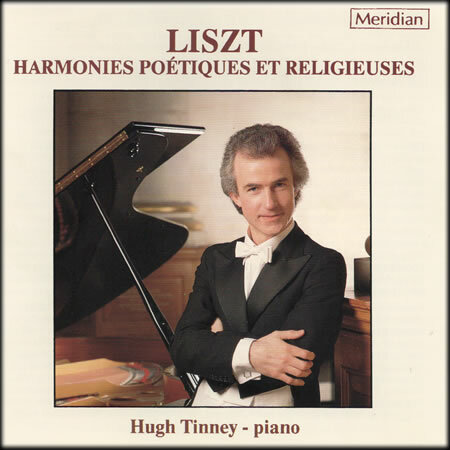 "Hugh Tinney's stunning disc of Liszt's rarely heard (cycle) 'Harmonies Poetiques et Religieuses' ...Thunderous virtuosity is set against deeply thoughtful studies in an exciting issue, superbly played ... brings a lyrical warmth to the more introspective pieces"
"Tinney is a sensitive performer in this sort of repertoire"
"He approaches the music with due weight - and a compelling range of pianistic sonorities to match... an effective sense of space and grandeur has been achieved ... he is successful in stressing the tonal beauty of the music and this casts its own spell. The dark grace of 'Funerailles' shows the Irishman to good effect and its climaxes are suitably massive. Tinney's version can carry a definite recommendation. 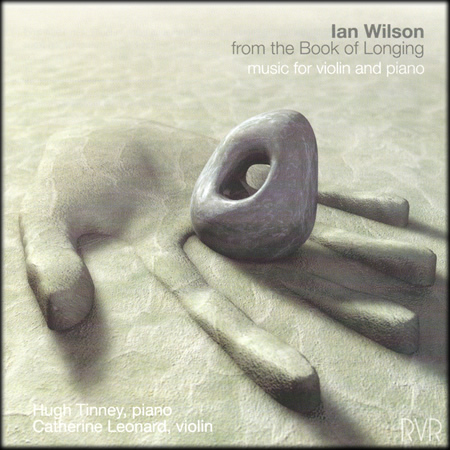 There are always details in his pianism to be admired"
"… pianist Hugh Tinney and violinist Catherine Leonard present a fascinating retrospective of Wilson's changing voice: from the taut minimalism of BIG (1991) and Drive (1992) to the verdant lyricism of A Haunted Heart (1998) - written in the wake of the Omagh bombing - and the tender pointillism of Spilliaert's Beach (1999). The tension between cool clarity and an almost Ravelian sensuality links the works, played with admirable transparency by Leonard and Tinney. Excellent. * * * * "
"The new disc of music from Belfast-born composer Ian Wilson, From the Book of Longing, features the impressive duo of Catherine Leonard on violin and Hugh Tinney on piano…Hugh Tinney provides a mini retrospective of Wilson's piano music including the major piece Lim, extracted from the composer's piano concerto of 1998…With over an hour of music, this is a major issue"
"…Hugh Tinney and Catherine Leonard do a beautiful job and are sensitively recorded. 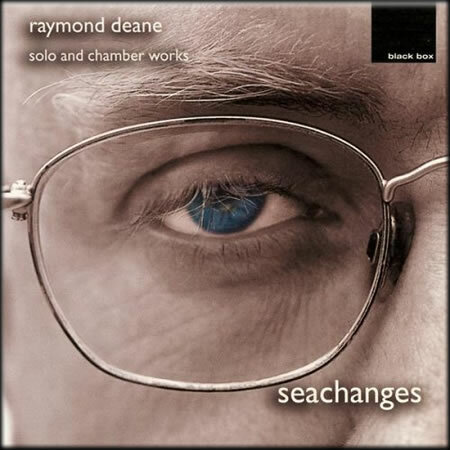 This and the remarkable stylistic variety, as it ranges over ten years of this composer's working life, makes for a CD that may throw up questions, but never flags"
|"Ten years span the eight works on this disc, which reveals Ian Wilson...as a composer of integrity, resourcefulness and (crucially) genuine communicative gifts...These are exemplary performances from Hugh Tinney and Catherine Leonard...Well worth hunting down"
"... what stands out on this CD is the underlying romanticism and also the consistent sensitivity and polish of both performers. * * * * "
Ian Wilson Sullen Earth, Hugh Tinney, Gordana Matijevic-Nedeljkovic (violin) and The Belgrade Strings, (RIVERRUN) released in 2009. 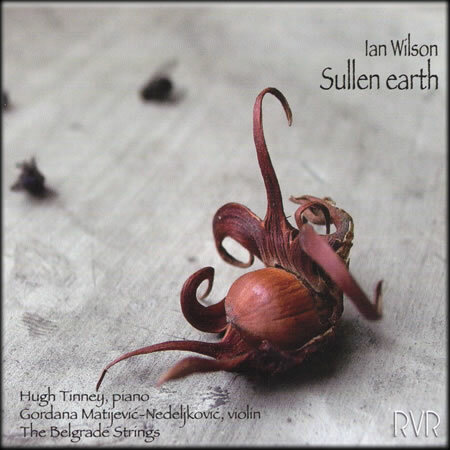 Commissioned by the Serbian musical forces in ardent evidence here, Ian Wilson's 2005 Sullen Earth is an archetype of a more recent compositional process that focuses on "stand-alone" building blocks of musical thought. The result is a distillation of conventional narrative or technical development into raw cells of emotion. 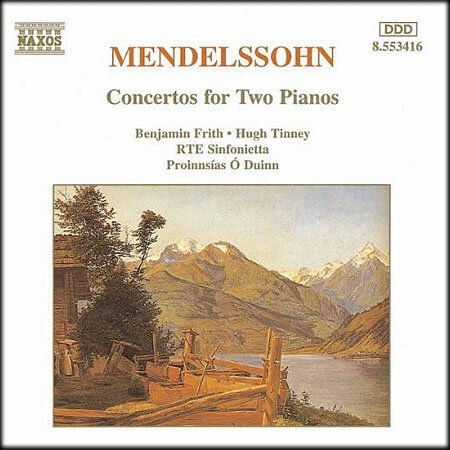 Here combined with ["Limena", for] piano and strings, a more melodically florid affair, and the suite, "The Capsizing Man"', itself a juxtaposition of five concisely contemplated ideas, the disc is a well-balanced recital in itself. The added bonus is the presence of the composer as conductor. "Blistered and bent into quartertones, the buckling solo line in Ian Wilson's 2005 violin concerto "Sullen Earth" picks obsessively at fragile, folklike figures before bursting into lyricism against the wheezing, accordion-like harmonies of the string orchestra. It's a bold work, and a bold performance from Gordana Matijevic-Nedeljkovic and the Belgrade Strings, who also accompany pianist Hugh Tinney in Wilson's subdued "Limena" (1998). Disturbing and cute, "The Capsizing Man" sees Wilson at his most accessible." "Two years ago, Riverrun released a disc of Ian Wilson's string quartets - four of them - and has now brought together three of his works involving string orchestra. Wilson's style has changed since 1999, when he was forced by Nato bombing to leave Belgrade and return to Ireland. The later music seems rougher hewn: less concerned with making formal patterns and more with expressing what it wants to say directly, often by boldly juxtaposing contrasting kinds of music material. That technique is seen in Sullen Earth for violin and strings, from 2005, in which everything is pared down to its emotional core, allowing the highly wrought textures to relax just once for an archaic-sounding lyrical interlude. Limena, from 1998, expands a solo piano by surrounding it with muted string textures, while the five taut miniatures that make up The Capsizing Man and Other Stories are all inspired by Giacometti sculptures." 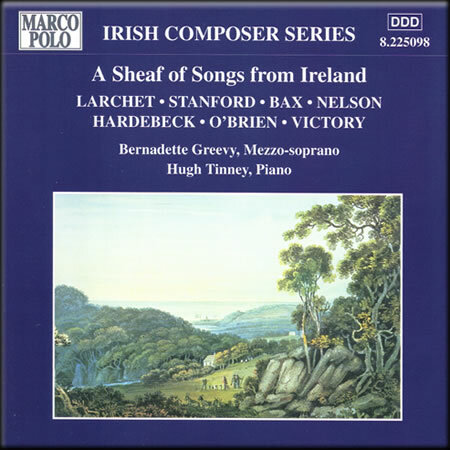 "A lovely disc - sure to appeal to all aficionados of late-Romantic/early twentieth-century chamber music"
"... the more overt traces of Irishness are to be found in the quintet, a four-movement work clearly rooted in the European tradition of romantic nationalism. The quartet is more forward-looking, a landmark work in which May introduced for the first time a flavour of modernism to Irish Music. The Vanbrugh Quartet, sensitively partnered by pianist Hugh Tinney in the Fleischmann, are strong advocates of both works." "… The Cork-based Vanbrugh Quartet do May absolutely proud and their fervent advocacy has been extremely well recorded into the bargain. 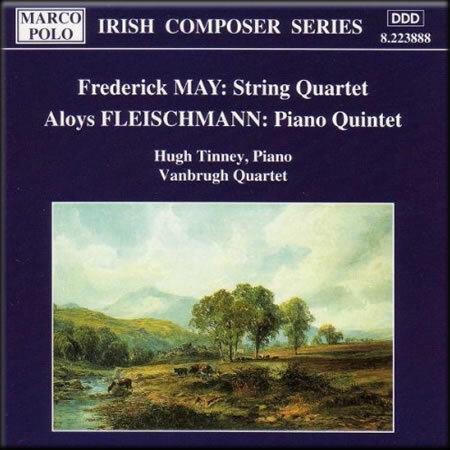 Aloys Fleischmann's Piano Quintet is a big-boned, impassioned work, consisting of four linked movements, which are extremely varied in mood and style.... Again, both performance and recording are first-rate... A fascinating and rewarding release"
This is a most convincing advocacy for both these compositions." "... it is to the great credit of Benjamin Frith and Hugh Tinney that without a score at hand, you would be hard-pressed to guess who was playing what. 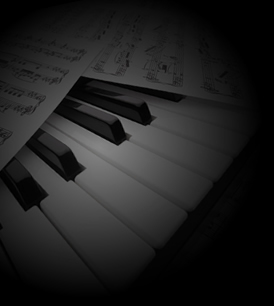 I was as impressed by their attunement of phrasing in lyrical contexts as by their synchronization in all the brilliant semiquaver passagework in which both works abound. Their uninhibited enjoyment of the imitative audacities of the later work's finale is a real tour de force." "... the carefree exuberance of Benjamin Frith and Hugh Tinney, who obviously relish this music. The sunny Allegros framing both works have plenty of dash and spirit and the slow movements are deliciously nuanced." "… After-Pieces is more overtly descriptive: Deane cites Prokofiev as an influence, and 'The Sphinx Unleashed' resonates with the latter's Toccata and Sarcasms while 'The Amorous Sphinx' channels the exuberance of early Schumann through darker waters. These are bravura studies for the present, and Hugh Tinney responds with scintillating pianism." "... After-Pieces, for solo piano, is beautiful – deceptively simple and quite mesmerising…As one has come to expect from Chris Craker's Black Box label, the quality of the recording is exceptional, doing full justice to the excellent performances from the musicians. All in all this is a very interesting disc, and will appeal to those interested in hearing new music at its best." "I haven't heard the earlier recordings, but I have recently heard her 1965 recording of an aria from Handel's "Rinaldo" and can report that not only is her timbre unimpaired but her emission is freer; a real vocal personality comes across. Add to this crystal-clear diction and we have a model of how these songs should be sung .... with Hugh Tinney's excellent piano playing ..... The Song of Glen Dun is highly attractive and if A Dandlin' Song seems banal at the outset, Ms Greevy makes it treasurable."